Switzerland is famous for its chocolate. There is a good reason for that. It is the result of the usage of superior ingredients and a meticulous preparation. 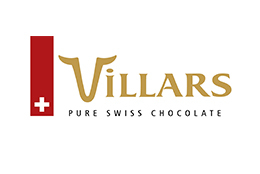 In our stores you will find a wide range of swiss chocolate from brands such as Lindt & Sprüngli, Villars Chocolat and many more. IMPORTANT: Chocolate is not sold online. We are happy to welcome you in one of our stores. The chocolate you find in our stores is all swiss made. A quality you can trust in.